SkatePro was founded in 1996 in Copenhagen, Denmark by roller hockey player and vert skater Jakob Høy Biegel. It started as a small shop with 5 employees that has since grown into a major company with 118 employees, two retail store locations, a warehouse and a skatepark. The headquarters is now based out of Aarhus, Denmark where Daniel Nesterowicz Clausen works as head of public relations. I wanted to know more about Skatepro so I sat down with Daniel to discuss the company, their growth and what they are doing to bring new people into blading. Jakob Biegel with the entire SkatePro product range in 2000. How has a small shop in Denmark been able to turn into such a large powerhouse in the extreme market? I do not know if we would be considered a “powerhouse”, but if we are, then it’s because of Jakob Biegel`s open minded approach. Instead of taking the route of owning a local shop, that only carries a few products while stating that all other sports are not “legit” or “real”, he embraced those sports, took them in, specialized in them and prioritized the customer. What products did SkatePro carry in the early days? It all started with inline wheels and bearings. You can check out the very first SkatePro website right here! In short… ARLO, JULIO & Kryptonics! How long have you been working for SkatePro and what was your job when you were first hired? I’ve been working there since 2009 and was hired as an aggressive skate specialist to help people find the right skates in the shop. I absolutely loved it. Daniel comes from an aggressive inline skating background. Back nugen on the rail. What are your responsibilities now within the company? Since I handle public relations, I take from google and give to the community. In short, I sponsor and support everything from riders, to events of all sizes, to marketing campaigns with partners all over the world from Denmark to Venezuela. What sport sells the most products for you? Scooters, but skates are surprisingly close. For inline skating have you seen a rise or decline in recent years? Throughout the years some aspects have gone down while others have gone up. Right now we are seeing a tiny uprise again in skating sales. The bottom line is that many people love wheels beneath their feet, regardless of trends. I am happy that’s the case, because I see it this way. People want to be unique and be part of a movement, if you go into the aggressive scene today, as a new skater, standing in the skatepark with the newest Eugen Enin or THEM Skates in your hand looking at the others. 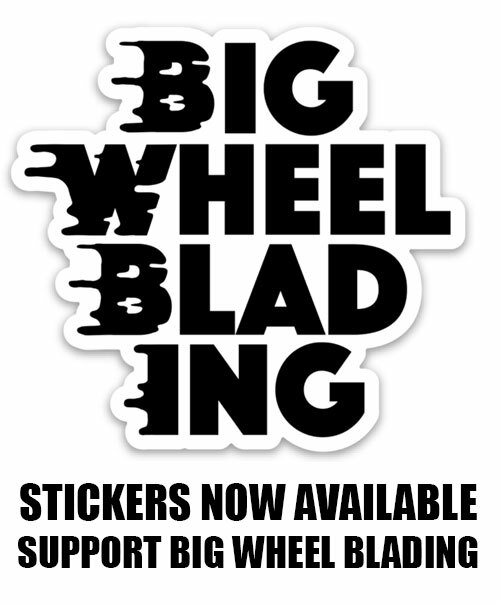 You are in short a nobody compared to the advanced, skilled bladers with polished style. That way you feel of less value which isn’t appealing. For kids these days it`s easier to go play a video game and get “rewarded” virtually with little to no effort. So thinking of that, I am happy to see a small increase! Most of the 2018 SkatePro crew members. 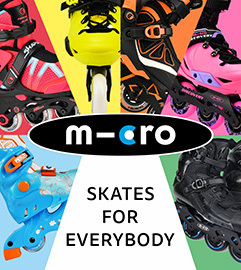 What kind of skates are the most popular? The most popular is still regular 4-wheel inline skates, but Triskates are closing in on that market. Have you noticed a change in inline sales throughout the years? Triskates and freeskates have definitely gained traction. The diversity of skate types is more accepted these days, in the past you either were a speed skater, slalom skater or an aggressive skater. Now we all mix these different disciplines together. Has skating grown at all with the rise of tri-skates? Powerslide’s marketing push of the triskate as the new & fresh skate to have, has definitely made more new people find inline skating attractive again. These skates are different to the mainstream eye, they stand out and people like that. A walk through the SkatePro Shop in Aarhus, Denmark. What is SkatePro doing for the skating community in Europe? We are not catering to the core skating scene, instead we are trying to inspire youth that are not connected to skating, by showing them what it`s all about. Many kids and their parents don’t realize the bond, life experiences and the social skills that skating can provide. It is not all about being the best at the skatepark or killing rails on the streets. However we do take that and show it to the mainstream via social media, video and newsletters. We also support several passionate initiatives, such as Inline Skaters Fight Against Cancer (NL), Rolling Festival (FR), speed skating workshops (DK), real street contests (EU), continuous support of skate schools (DK) & (PL), Winterclash (NL), to supporting individuals on all levels and ages within skating. New clients should feel secure and informed when buying skates, so we offer them tutorials online and are available for them if they need us. To date, I haven’t seen any other skate shops provide a phone line that is available from 9am to 9:45pm (CET) with staff that knows the difference between a rockered vs flat setup. What do you think the most important skating related events are? FISE – The exposure it offers is very important. FNS (Friday Night Skates) events all over the world – These make skating accessible to anyone. Winterclash – I don’t think I need to elaborate on this one. Roskilde Festival blade show – The youth of Scandinavia saw things happen on skates that they would never have seen elsewhere, inspiring a new generation. Berlin Inline Marathon – This event just brings together so many people! Christian Berg, Seth Nicolas, Igor Jovanovic, Daniel Clausen, Joje Nyberg and Niclas at Roskilde Festival before the skate show. Are there any other retail stores in Denmark? If so, do you get along with them? There are a lot of sports chains in Denmark that carry inline skates. But as far as stores that take skating seriously, there are two other shops here. Although we rarely talk, I do hope we all get along. SkatePro is not your typical local shop down the street, so I believe we are not in direct competition with them. They are good at stuff we are not good at and vice versa. We use a lot of resources to get the mainstream into skating. From large adverting campaigns in the general media, that feature inline skating, to collaborating with other big retailers and brands that are not from our industry. Done with the intent of showcasing our sport to a potential new clientele. Do you have any major competition? Yes, lots. Big box chain stores and e-commerce whales that only focus on low prices hurts us, the brands and the industry as a whole. If a brand is expected to provide their products to one of these retailers at just barely over the cost price, then they have a hard time surviving and even a harder time supporting the passion it`s created from. Fighting on price only is like giving up your business. The sad thing is that we have to adapt to that in order to stay relevant. We believe it is important to have as many physical skate shops as possible out there. Retail stores have bigger reach and allow more people to see skating. There is as much of a need for small local stores as big shops. The SkatePro warehouse in Aarhus. How big is skating in Denmark? Compared to most other established sports in Denmark it`s small. Yet, looking at the core segments I think aggressive blading is the same size as the freestyle ski/snowboard and BMX communities in Denmark! We currently support 15 inline skaters, but have around 94 riders in different sports in 16 countries around the world. You can see our full roster here. Daniel jumping over a Nissan Skyline during a show at SkatePro. I do not work in the sales department, but I think we do really well with wheels, which is where it all started. What skates are you on right now? For 14-years I skated the USD Classic Thrones, but now I’m skating the pre-trinity Powerslide 3x125mm Swells. In 2010 Daniel did the Berlin Marathon on the first “real” Triskates from Powerslide, the Phuzion7 3x110mm. Do you do any other sports outside of skating? Nah, my knees are in bad shape these days. I now ride my motorbike, which makes me feel a connection to skating. Weaving through traffic on it reminds me of blading through downtown streets full of pedestrians when I was younger. Giving it some throttle makes me feel like I’m dropping in on a vert ramp. Skating for over 19-years has given me good balance and reflexes while riding my motorbike. What are your favorite memories during your years at SkatePro? One of my favorite memories is a drawing a kid made that I was given as a thank you. It is now hanging together with fancy awards we’ve received through the years. It’s been very rewarding to see so many of our talented riders, that I have been supporting since they were kids, rise up. Watching what passionate people that I’ve connected together have created. I am also proud to have helped scooter riders “fight” the same hate blading received from a certain group. Working in a “sport” that sculpts character, adds life experience and bonds people together on a daily basis is a gift. I am very thankful for my job. The drawing Daniel received hanging on the awards wall at the SkatePro headquarters. To see the full inventory of products carried by SkatePro and to place an order visit skatepro.com. If you want to keep up with whats happening at SkatePro on social media you can follow them on Facebook, Instagram and Twitter. For great tutorials and video content follow SkatePro on YouTube.